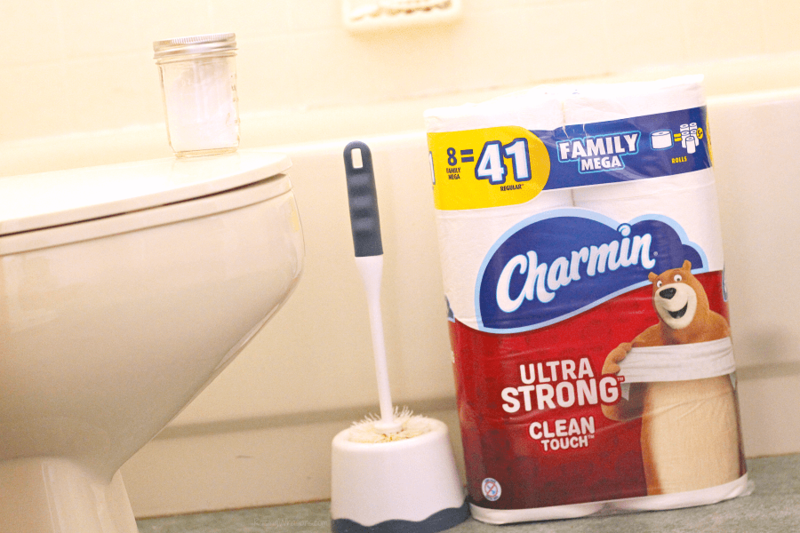 Ready to tackle bathroom spring cleaning? Grab this Easy DIY Natural Toilet Cleaner + Spring Cleaning Tips. 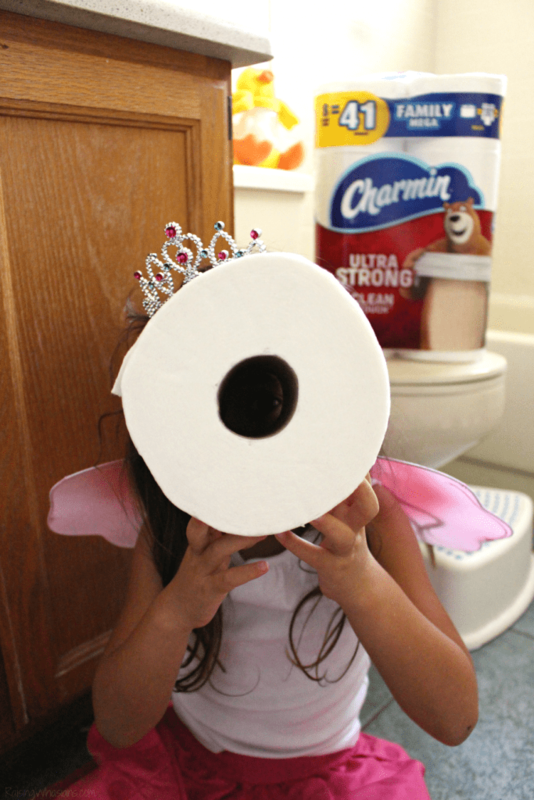 This post is sponsored by Charmin. All squeaky clean opinions are my own. Before I was a mom, spring cleaning was a breeze. I’d have my hair up, my tunes on full blast and I would finish the whole house in a day. Those were the good ole days, am I right? But let’s face it. Times change and so do our cleaning habits. 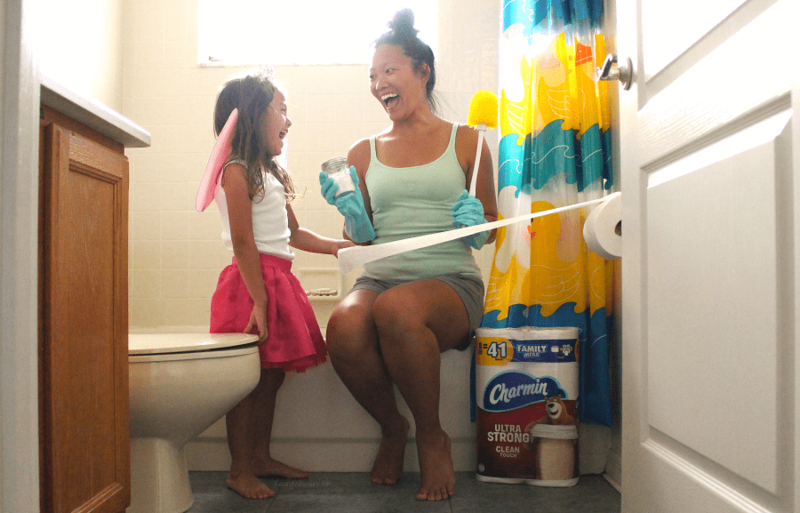 Today I’m sharing my best “mom” bathroom spring cleaning tips, this chemical-free DIY Natural Toilet Cleaner that I use in my kids’ bathroom (because who else has kids that are constantly touching all of the GROSS areas of the bathroom? ), and an insanely good deal on toilet paper. Let’s tackle spring cleaning with our super mom powers! Clean out – Time to get rid of all of the expired products, things you don’t use, empty containers. I take literally everything out of my bathroom and see if I need to keep, replace or toss. Deep clean – Scrub a dub dub! Time to clean up that tub! I deep clean the whole space, even tackling just one area of a room at time if I’m crunched for time (like toilet, mirrors, shower, counters, floors, baseboards, etc.). Reorganize – One everything is sparkly clean, time to reorganize your space. Consider storage containers, reordering drawers, and hiding any non-essentials. Let them help – My kids LOVE when I give them tasks. And bathroom cleaning is full of tasks for my kids! 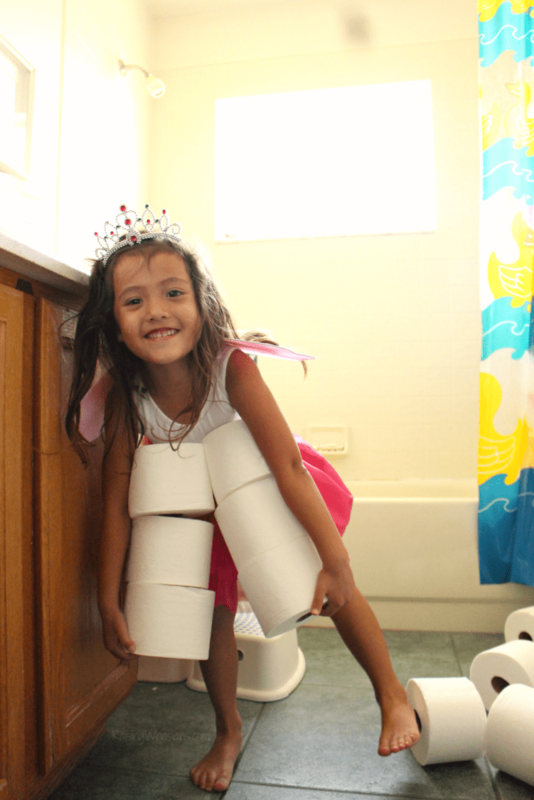 Restocking toilet paper is definitely a task that both kids help me with. With 4 people and 2 potties – we need to restock often! 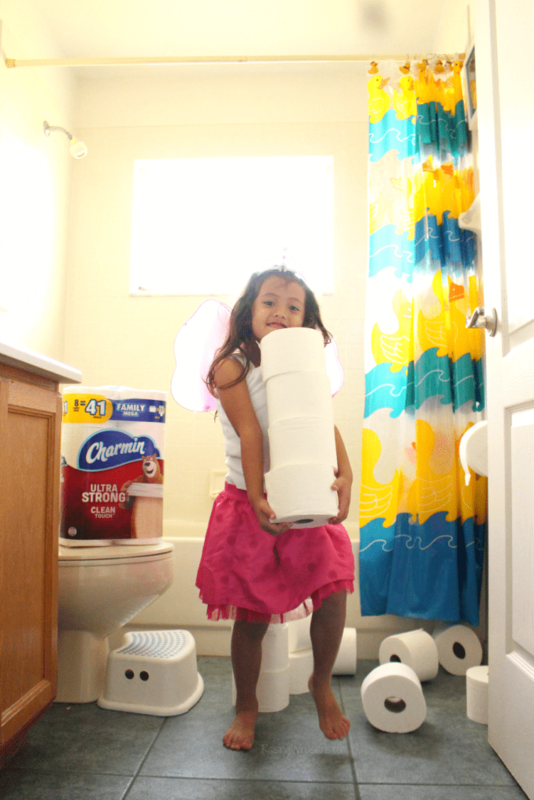 Speaking of toilet paper, it’s a good thing that we don’t need toilet paper anymore – said NO mom ever. Is it just me or is it a constant buying and restocking shelves with TP, always running out at the worst possible moment (insert preschool child here who doesn’t know the concept of counting squares)? With mom life being especially busy this spring season (baseball season is almost over, y’all! ), I need restocking my paper products to be easier than ever. Thank you to whoever invented Amazon Prime! Savings are stacking up! When I can combine my Prime free shipping plus a coupon stack – it’s like serious mom GOLD. 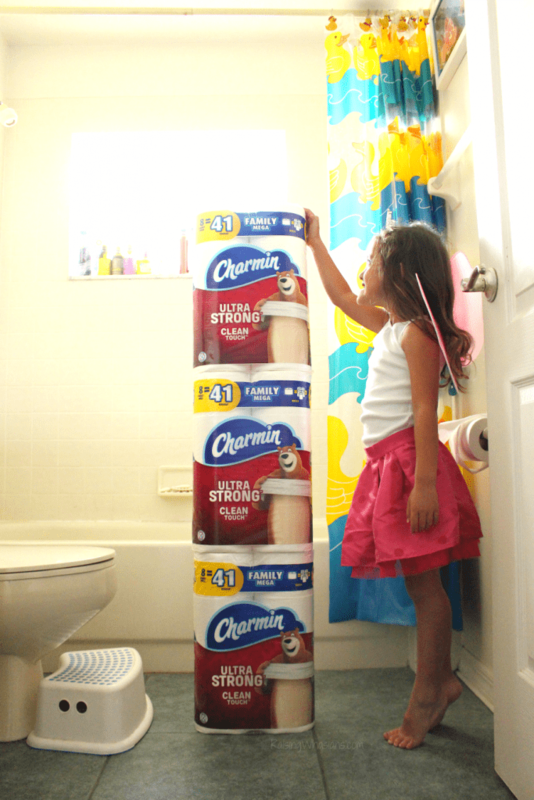 I just grabbed an insanely good stock up deal on Charmin Ultra Strong Clean Touch Toilet Paper. This Family Mega Roll 24-pack is $3 off right with code 3MEGACHARMIN plus an extra $2 coupon at checkout for $5 savings plus free shipping! You can grab the same deal on Charmin Ultra Soft Cushiony Touch too. Just click HERE to add them to your Amazon cart. And these aren’t your average TP rolls. 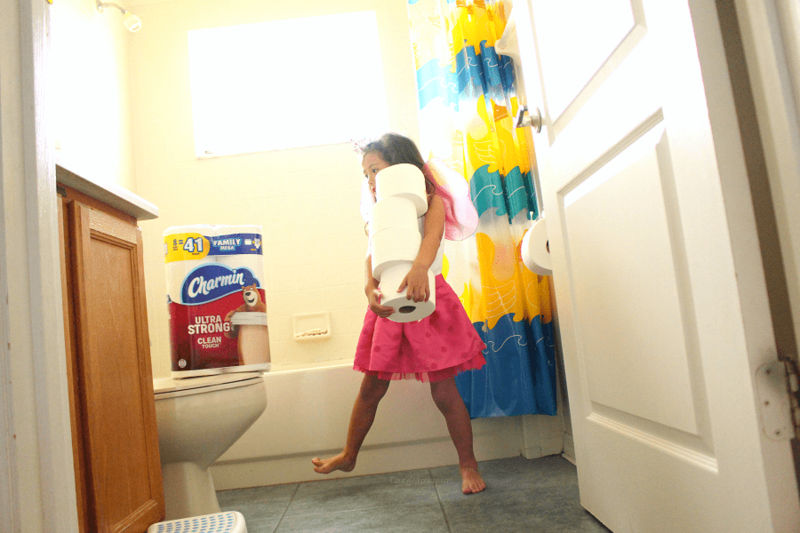 These are the extra big 5-in-1 rolls with serious strength (um, I have two boys and preschooler – you feel me?) all balanced with super softness. Less changing of the empty toilet paper roll? Yes, please. I have two kids – which means basically someone is touching something in the bathroom every single day. Using harsh chemicals in their space is not an option. I need cleaners that are safe for little hands, which is why I love this DIY Natural Toilet Cleaner with lavender and lemongrass. The lavender is calming and balancing while the lemongrass is cleansing and uplifting. A little extra aromatherapy in my day while I clean? Yes, please! 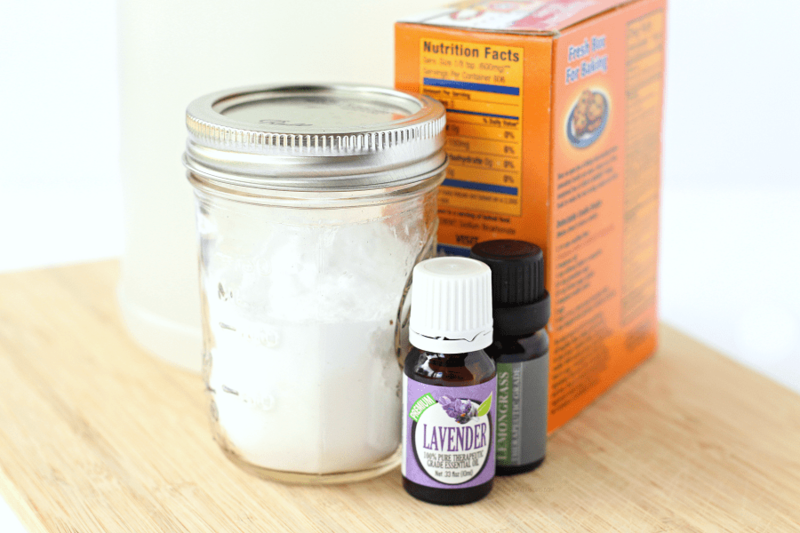 In a glass bowl, mix together your baking soda and essential oils. Store in a tightly sealed mason jar until ready for use. When ready for cleaning, pour 2 tbsp of baking powder mixture into your toilet bowl. Give the bowl a good initial scrub with your toilet brush. Then add 1 cup of white vinegar to the bowl. This will not only give you disinfecting power of the vinegar, but react with the baking soda for a great foaming action in your bowl. BONUS, right? Then go ahead and give that toilet bowl another deep down clean with the brush. Flush. Spring cleaning looks a little bit different now that I have kids, and a little crazier too. 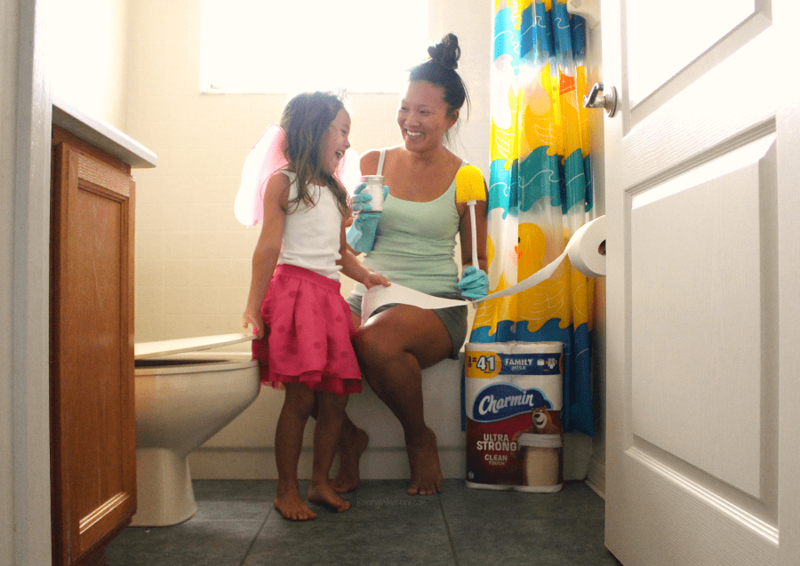 But with a few tips, a stock up deal on Charmin, and this DIY Natural Toilet Cleaner – we’re handling spring cleaning like a boss. 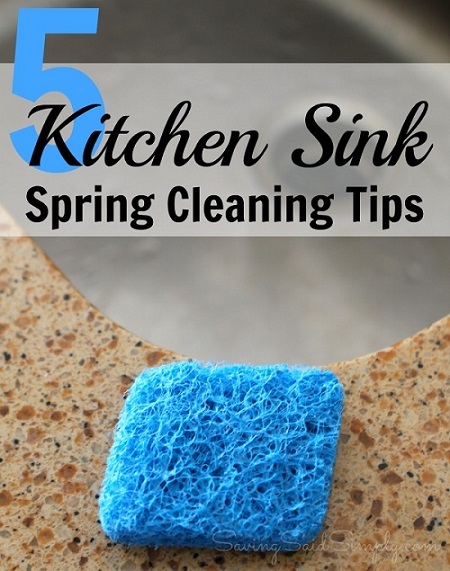 What’s your best bathroom spring cleaning tip? 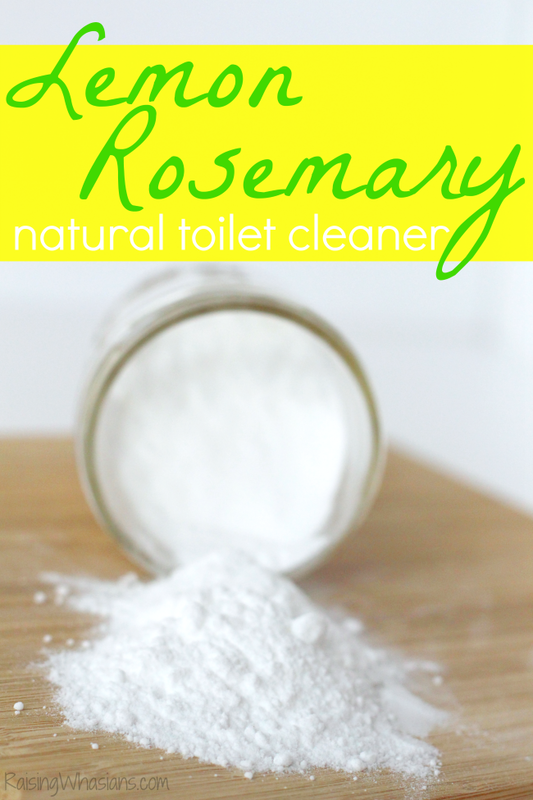 Do you make your own DIY natural toilet cleaner too? 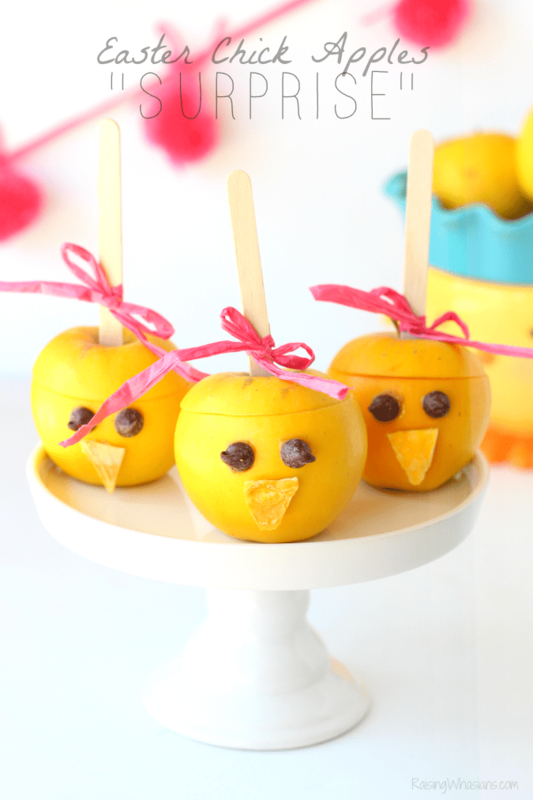 Be sure to follow Raising Whasians via Facebook, Twitter, Google, Instagram, Pinterest and YouTubefor more easy DIYs for your family, crafts, recipes and more. That is a great DIY toilet cleaner. 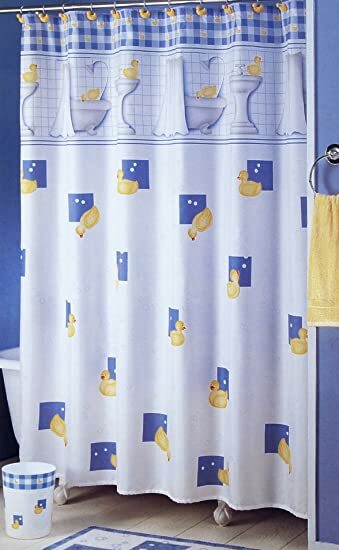 A little goes a long way and it looks like it does a great job, not only cleaning the toilet, but leaving it smelling good. That is so great! I’ve been trying to switch to organic cleaners or homemade cleaners whenever possible. I can’t wait to try this. I love essential oils! I’m always looking for ways to use them around the home. I’ll definitely try this out! Bonus for the kids thinking the foaming is a science experiment and actually helping with the cleaning! This DIY toilet cleaner sounds awesome, as does the hot deal on toilet paper. Spring cleaning shouldn’t be stressful at all! I think these are great ways to make things easier. Loving the DIY toilet cleaner! 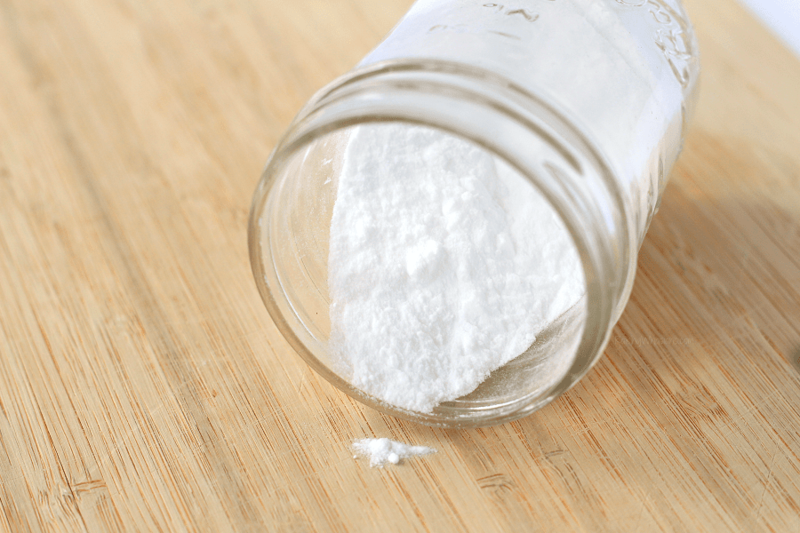 Baking soda and vinegar are the best natural cleaning solution. 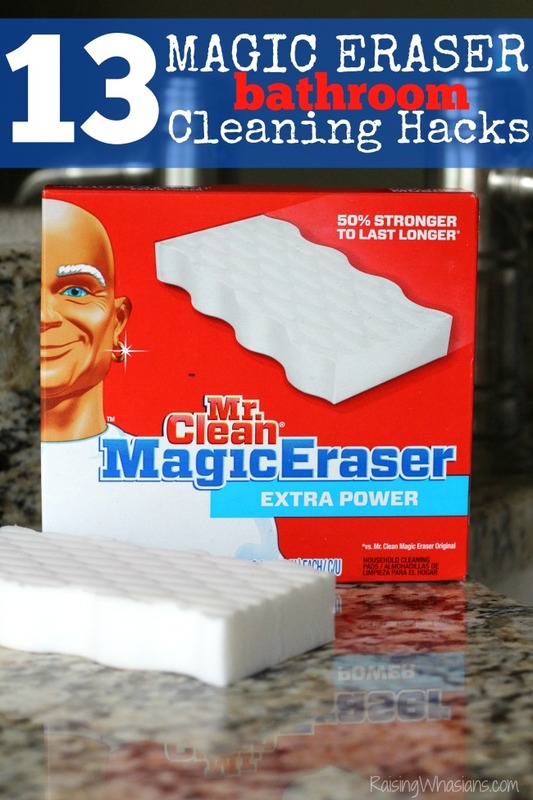 I use this a lot, and it is also a great declogging solution for sluggish drains. I love that you included some essential oils in your mix. Clean and fragrant is always a winner. We use a lot of baking soda and vinegar for our household cleaning tasks. Natural products are always better and safer! I want to keep my home chemical free because I occasionally have my nephew and nieces here with me, and of course, my fur baby too. This is so awesome. I love essential oils. will surely try this. thanks. I have these essential oils…I might just have to try out this home remedy!